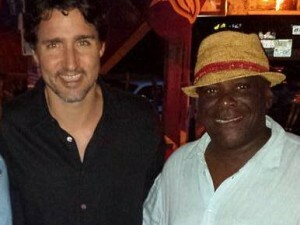 CASTRIES – The St. Lucia government is strongly defending its Citizenship by Investment Programme (CIP) in the face of harsh criticism from an expert in residence and citizenship planning, who described it as poorly designed and lacking transparency and said his firm declined a contract to be a marketing agent for it. In a statement seeking to correct “misconceptions and inaccuracies” about St. Lucia’s economic citizenship programme in an interview with Managing Partner at Henley and Partners, Dr. Juerg Steffen, the Citizenship by Investment Board stood by the CIP. Asked to give his impression of St. Lucia’s CIP, Steffen had said in the interview published on the firm’s website, that “the programme as it appears now is not well designed and has a number of issues, including structural problems and the lack of transparency”. He identified several fundamental problems, and the Citizenship by Investment Board responded to them. Of particular concern was his claim that “there has been no transparency or open tender process” for engaging agencies to market the CIP. The Board said a selective tendering process was used where three recognized marketing agents were invited to make presentations to Board and the names of those selected – Arton Capital, CS Global Partners and Henley and Partners – were published as required by law. “The Citizenship by Investment Board will not publish details of contracts entered into with any of its service providers, just as it will not publish the details of negotiations and communications with Henley and Partners. To do so would be unprofessional, even as it serves to illustrate that Steffen’s comments represent a new position which had not been previously expressed to us,” it said. The Board said that Henley and Partners, which had expressed a desire to be the exclusive marketing agent, declined to partner on the progamme. In his interview, Steffer confirmed the firm’s refusal of the contract. “We chose to decline the offer because we will not risk damaging our reputation by being involved in the current set up of the programme,” he claimed. Steffer also had an issue with the CIP’s low real estate investment requirement of US$300,000 – lower than the requirement of US$400,000 in Antigua and Barbuda and St. Kitts and Nevis, and US$350,000 in Grenada. “St. Lucia therefore positions itself just above Dominica, which has a real estate investment requirement of US$200,000 and is at the bottom end of the market. St. Lucia’s tourism is much more upmarket, as is its real estate market, and thus it should be placed at least on par with Antigua and Barbuda, currently the most important Citizenship by Investment Programme in the Caribbean. Why would you want to place St. Lucia at a lower price band? It kind of cheapens the country’s image,” he said. But the Citizenship by Investment Board said so far there has been tremendous interest in St. Lucia’s real estate projects, precisely because the tourism product is upmarket. It added that the US$300,000 price point is a minimum requirement and does not determine the market price set by the developers. “Furthermore, our programme is targeted to the development of our tourism product rather that the sale of residential properties which further accounts for the price differential. 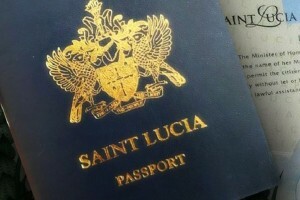 We wish to clarify that CIP St. Lucia does not award citizenship for the purchase of shares in the development company,” it said. Steffen also criticized the requirement for every applicant to submit a sworn affidavit to declare financial resources of at least US$3 million. He argued that it is likely to be off-putting to many high net worth individuals. The Board acknowledged that the issue has been a topic of much debate and there has been both negative and positive feedback on the requirement. However, it maintained that having a minimum net worth requirement is one of the ways in which CIP St. Lucia distinguishes itself. “Given the programme is limited to 500 approvals annually, it ensures that it is indeed high net worth individuals who apply,” it explained. Another issue Steffen identified was the introduction of a government bond option, which he described as “absurd”. Steffen said Hungary is an example of how poorly that option works. According to Steffen, the Hungarian state actually loses money as a result. “I doubt that this is what St. Lucia currently needs,” he said. But the Board said Steffers’ criticism was based on a misunderstanding of the investment option. “Annually, the Government of St. Lucia raises funds by the issuing of bonds. Often these issues are not fully subscribed and therefore there are short falls in the funding estimates. The Government of St. Lucia has made US$20,000,000 worth of bonds available for sale through the CIP. These five-year bonds are non-interest bearing. Therefore, the bonds sold under CIP St. Lucia will significantly reduce the cost of borrowing while making the bonds more attractive,” it explained.